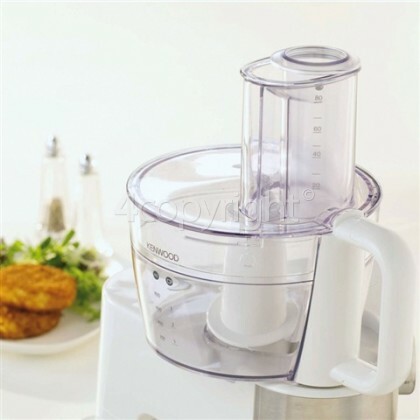 Use this genuine Kenwood Food Processor Attachment set to maintain the versatility of your machine. The collection of discs, blades, lids and attachments will enable your machine to perform a variety of functions efficiently. Replace worn or damaged attachments to prevent leakages, spillages and potentially even damage to your machine and its drive system. Your AT264 Food Processor will be supplied with a knife blade and 3 stainless steel slicing and shredding discs. This accessory includes a citrus press which is suitable for all types and sizes of citrus fruits. There are also 3 optional discs available for rasping, chipping and extra coarse slicing & shredding.